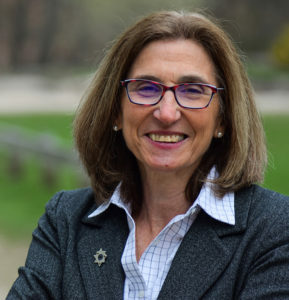 Cindy Friedman’s background as chief of staff for the late State Senator Ken Donnelly, an educator, and a community activist has uniquely prepared her to hit the ground running as Senator of the 4th Middlesex District. For the last nine years, Cindy Friedman has been the late Senator Ken Donnelly’s Chief of Staff, helping to shape and supporting Ken’s vision to improve the lives of all Massachusetts residents, especially those who are most vulnerable and without a voice. Support more investment in workforce training to meet the needs of businesses and increase the economic stability of Massachusetts residents. Cindy’s first passion was education. With a bachelor’s degree in education from Roger Williams University and a master’s degree in special education from Lesley University, Cindy spent several years working as a teacher at the kindergarten and elementary school levels. It was there that Cindy learned first-hand the obstacles facing public schools and the role that government can play to enhance our education system for students, teachers and parents. In 1980, Cindy moved to Arlington and started a family. There, she found a welcoming community and established deep roots. Over the next three decades, she invested considerable time and energy to help sustain this community, becoming increasingly involved in Arlington’s civic life – serving as a long-time Town Meeting Member; a founding member of SPOT (Schools are a Priority in Our Town); co-founder of Arlington Education Foundation; member of the Symmes Advisory Committee and chair of the Symmes Advisory Committee community outreach sub-committee; and Chair of the Arlington No Place for Hate Committee. Cindy lived in Arlington for 32 years until family circumstances necessitated a move to the Fresh Pond area of Cambridge. She has since returned and lives in Arlington Center with her husband of 35 years, John Page. They have three children who attended Arlington Public Schools, and two grandchildren. When Cindy is not engaged in political work, she is often found with her large group of friends or working in her perennial garden.